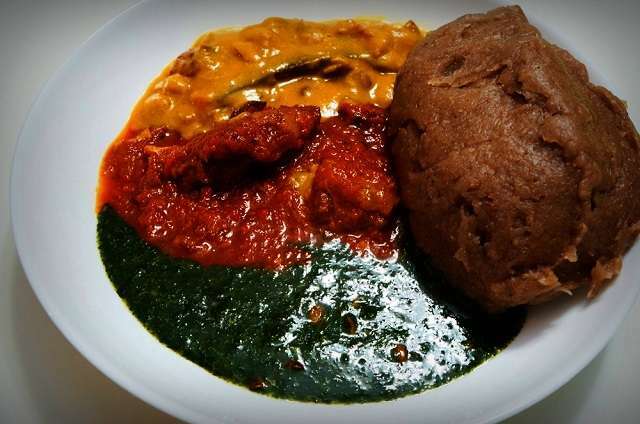 The effect of hunger and starvation facing workers in Ekiti State due to several months of unpaid salaries, has forced a secondary school teacher to resort to a shameful act of stealing a pot of steaming amala (a popular a Nigerian food made out of yam flour). The teacher, a staff of Ekiti Baptist High School, was caught after he sneaked into the kitchen of a neighbour at Odogede area in Igede Ekiti, the headquarters of Irepodun/Ifelodun Local Government Area in the state, on Sunday, June 5, where she stole the meal. The shameful discovery of the theft drew sympathy from other residents, with some of them shedding tears at the plight the workers in the state have been thrown into. “The incident happened at about 1.30pm on Sunday when majority of the residents had arrived from their churches and the teacher could not go to church because of the prevailing condition. The neighbour on arrival at home prepared the amala meal, but unknown to her, the teacher had been watching and bidding her time when the owner of the food would leave the kitchen before she struck. As the woman preparing the food left the kitchen, the teacher went there and stole the pot of amala and carried it to her room." "But the owner of the food screamed and was startled to find the teacher and her two children eating the amala with palm oil.